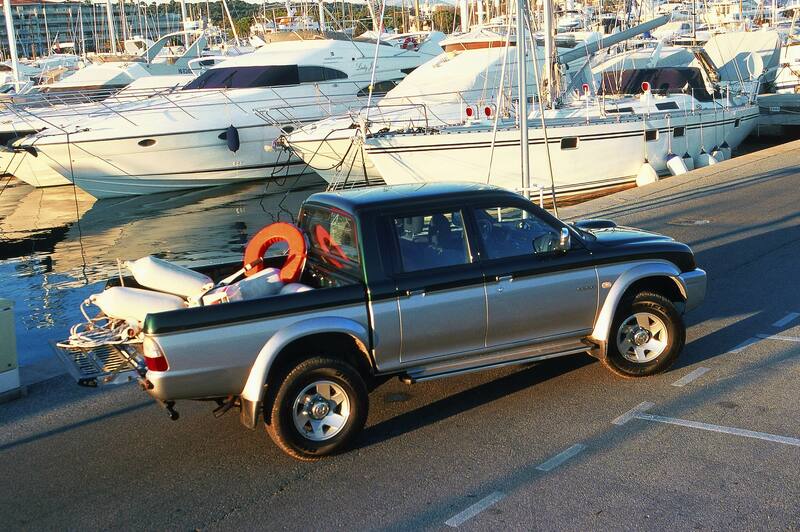 Mitsubishi L200 - the ultimate dirty load-lugger? Could well be. Remember that time around the late ’90s when all of a sudden pick-up trucks were no longer deemed to be the sole vehicle of choice for Trev the bricky, or Dave the plumber? It was a time when one manufacturer decided that a pick-up could be marketed as an actual family car via the liberal coating of metallic paint, chrome bits and alloy wheels. …which is odd, because you’d think Ford would have been at the forefront of such vehicular marketing strategies, given its pick-up-based success with cars like the F Series. 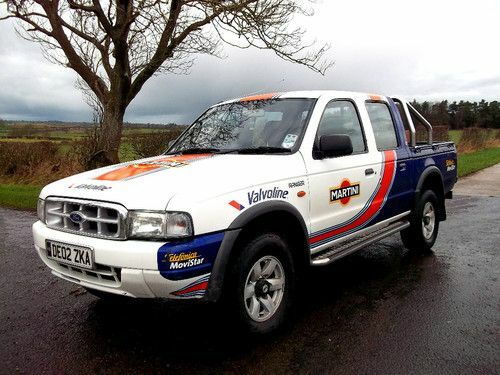 Instead, it just made a cheap attempt to cash in on its WRC success by throwing some stickers at a Ranger and charging a few more quid for it. Seriously, the above pick-up was a thing, a real thing that Ford thought people would buy. We worked for Ford at the time, we had one in the showroom. It was rubbish. 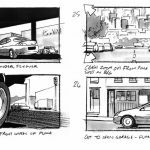 Anyway, if it wasn’t Ford that revolutionised the image of the pick-up, who was it? Silly question really, because you already know it was Mitsubishi with the really rather wonderful L200. 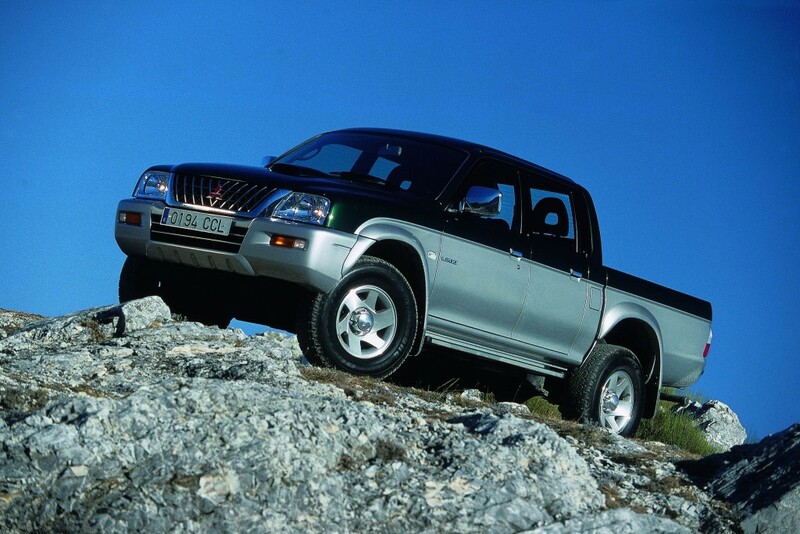 The L200 had already been a long-standing member of the Mitsubishi family for years, but only in a commercial sense. It wasn’t something on the radar of Joe Bloggs, unless he had a trade card at Screwfix Direct. Mitsubishi changed all that though, care of nothing more than some shiny bits, a double cab and some clever marketing. They called it the “4 Life”, they garnished the brochures with photos of people catching fish, riding bikes and smiling with their perfectly coiffed children. They made the L200 4 Life look like a means to break from the norm and show the world that you were still fun, young and agile. The two-tone metallic paint, shiny alloys and chrome served to give that image some substance, because a plain white L200 would have suggested a ‘Highway Maintenance’ sticker was imminent. That’s not an association the marketing men at Mitsubishi HQ wanted the customers to ever be aware of. They never were though – the marketing worked and the masses were drawn in by the romance of owning a pick-up. Has any consideration been made to secure that load? 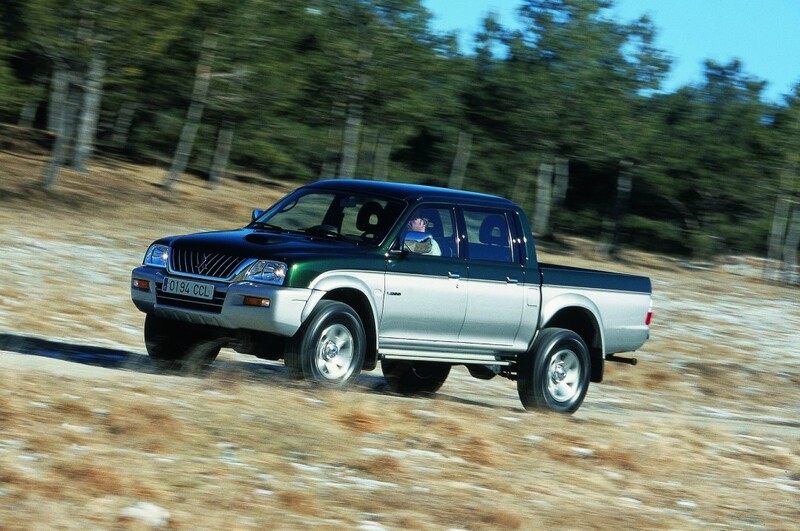 Underneath all the bling, the L200 was nothing special. It was still the same rugged vehicle, it was no different to that Ford in terms of mechanical changes – it was still just a pick-up truck. It was cumbersome, bouncy, unrefined, noisy, slow, cramped, uneconomical and generally unpleasant on anything but a short journey. The 4 Life branding was literally an exercise in aesthetics and gullibility, and it bloody well worked. When people started to get wise, Mitsubishi threw more clobber at it. 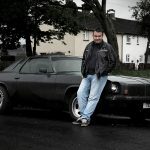 Leather seats, chrome roll bars, spot lights, sat-nav, the works. Then there were new names, manly names that would earn you a sea of appreciative nods if you ever uttered them in the pub. Names like Animal and Barbarian – oof, how studly. The L200 also offered, by proxy, all kinds of tax breaks (which have since been addressed) that probably incentivised people to take the plunge. Crucially though, it was a bit of fun masquerading as a vehicle that could be used every day, when the reality was that it’d drive you up the wall because it wasn’t nearly as refined as the Mondeo you’d traded in. I must get to the marina POST HASTE! So there you go, the L200, nothing but a solid case of marketing done right. So, why has it earned a place on the pages of Not £2 Grand? 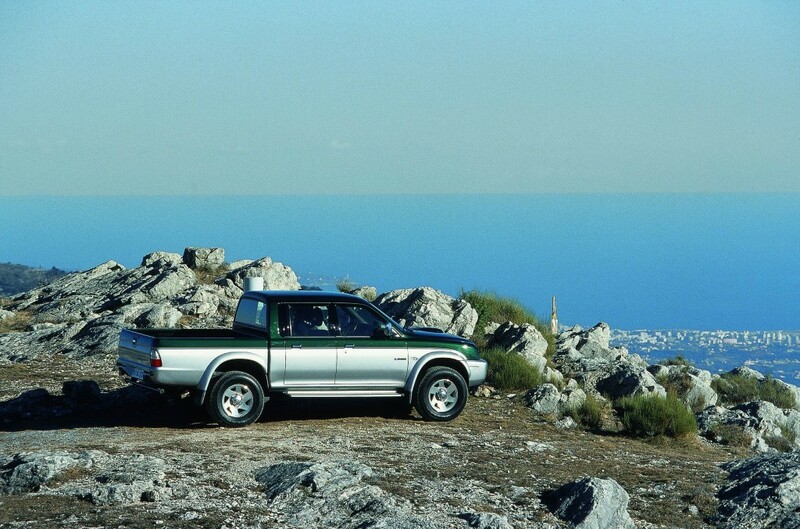 Well, first of all, under all the glitter and gold, the L200 was actually a hugely capable and durable vehicle. It was tough, it ran like clockwork and it was hugely reliable. The 2.5 diesel lump might have been lacking speed, but it was plentiful with torque. Turbocharged with a top-mounted intercooler, it was a trusty lump. If you can cope with the way it drives, you’re onto a winner. If you can’t cope with that, then DON’T BUY A BLOODY PICK-UP TRUCK! You’ve got to take the rough with the smooth – this is a vehicle that, despite your collection of mountain bikes and neat-haired children, is built to do a job. If that job is never undertaken, that’s not the L200’s fault. 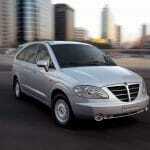 Secondly, while we were keen to bash it earlier, we only did so in terms of it being a car. We only did that in terms of it being what the chequebook-waving customers of the early ’00s were expecting it to be. At Not £2 Grand towers, we actually like the ruggedness and the uncivilised nature of the thing. It’s not soft, it still proud to be a ‘truck’ as the Yanks would call it. That’s all fine by us. The L200 4LifeBarianWarriorBarb, or whatever it’s called this week, is, AS A PICK-UP A TRUCK, a damn fine vehicle. Okay, so for your £2,000 budget you’ll probably end up with one that’s a bit battered, but trust us, it will have also been looked after to a higher standard than a normal pick-up of the age. The double cab means you can get your kids/dog/lover in it without too much hassle, and the rear bed will ensure it’s only ever one trip to the tip on a Sunday. Or, line it with a tarp and fill it with water as impromptu hot tub?